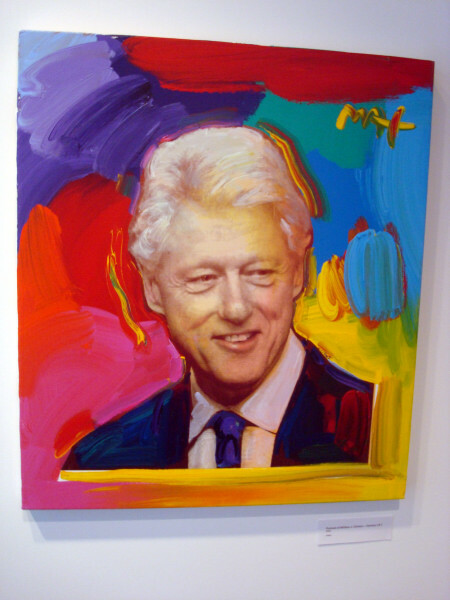 Any presidential library can be an interesting place to visit for those curious about history, but I found the Bill Clinton Presidential Library in Little Rock, Arkansas particularly fascinating. I teased the Clinton Library with a photo teaser a few weeks back, and now it’s time to reveal the rest of the story. The building itself is modern, with lots of sharp angles and natural light coming into the place. It also offers a nice view of the city and nearby park from the upper floors. 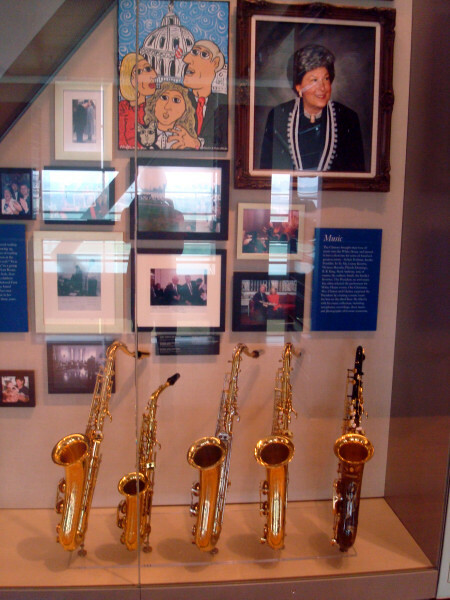 Then there are those display cases, which feature photos and artifacts, like this one with several of Bill’s saxophones and a portrait of his mother. 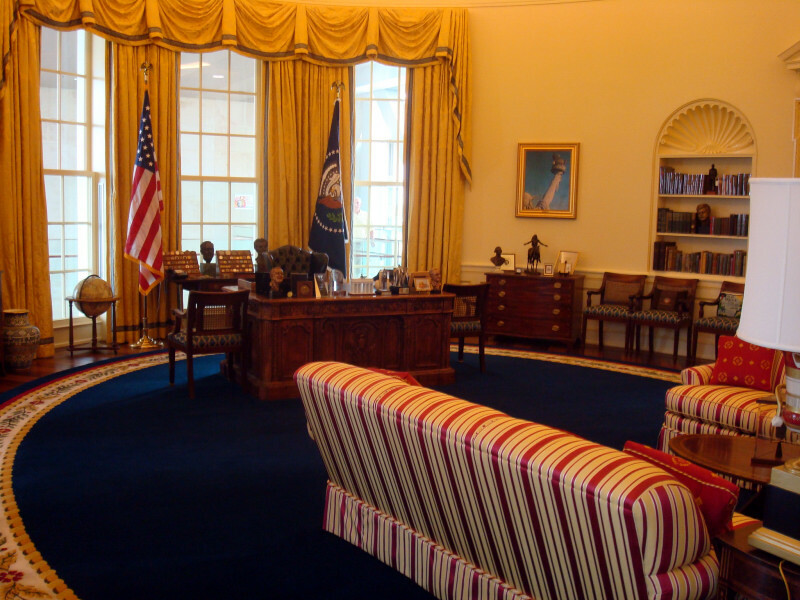 One of the coolest parts is a full re-creation of the Oval Office as it looked during Clinton’s tenure. You’re not allowed to walk inside, but you can peer in and take pictures. The Clinton Presidential Library is open seven days a week and currently charges a reasonable fee of $7 for adults. 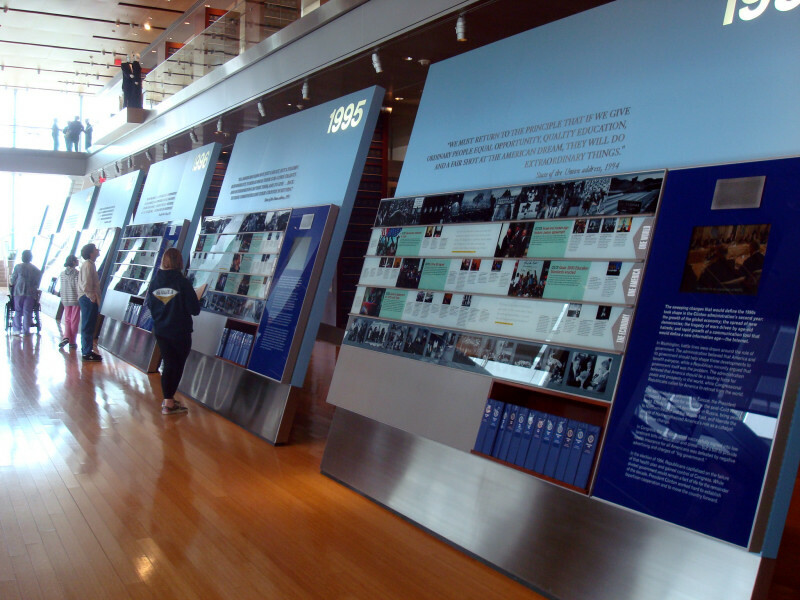 Have you ever visited a presidential library? I would love to visit the Clinton library; thanks for the introduction. I’m a Little Rock native and current resident. The library is a wonderful! They are constantly changing exhibits. Within the last year they have had a Lego exhibit and an Elvis exhibit! It is a huge source of tourism to our city! I encourage everyone to come see and enjoy! Thanks for the info! Lego and Elvis exhibits would be really cool to see there. I’ve never actually visited a presidential library. Cool about the oval office recreation though – how much does it actually change from president to president? Glad you wrote about this. I have never been to Arkansas, but when I do I think I will include the Library on my itinerary. At the very least I think I will enjoy the nice view of Little Rock. Although we are long time residents of Atlanta, we just finally made it to the renovated Jimmy Carter Library and Museum last summer. I don’t think many people in Atlanta even know about this place. The grounds are beautiful, and you can enjoy the Atlanta skyline from there as well. BTW, I really enjoy reading your Quirky Attractions page. Hmm, I missed the Carter library when I was in Atlanta. Thanks for the tip! Due to some misplanning on my part I ended up in Little Rock on my trip through the south and visited the Clinton Library. It was my first presidential library and really enjoyed it! I loved the layout of the place and use of space and while there was loads of info, didn’t feel crowded or overstuffed at all. My dad dragged my mom and I to the Regan library a few years back (since it’s close to where we live) and it was actually okay too. The grounds surrounding it are gorgeous! Interesting, I’d be curious to see how the Reagan library is different.